Iron is the one of the most commonly used metals to manufacture metal furniture. It is beautiful, strong and sturdy at the same time. This material gives a traditional and elegant look to your patio, garden or living area. Iron furniture could truly be known as a timeless piece, as it has passed from generations to generations. Iron can be molded into various styles and designs to match the classy look of your house. It adds a bit of grace and refinement to the décor of your home. You will find such types of furniture easy to clean. They are also weather resistant due to their sturdiness and strength. 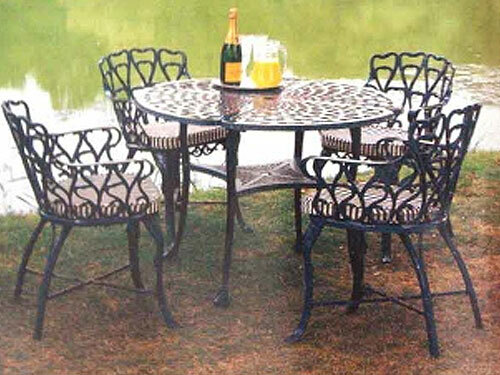 With all its benefits, iron furniture has a single drawback that it is susceptible to rusting and corrosion. 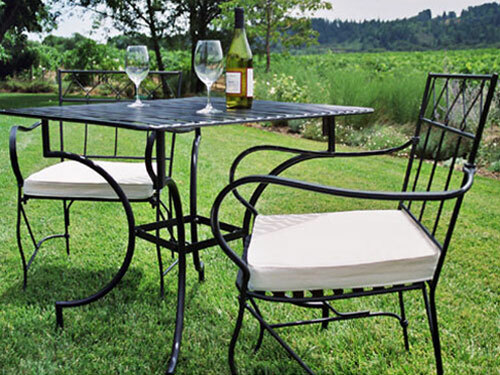 However, with proper cleaning and maintenance you can protect your iron furniture from rust and oxidation. 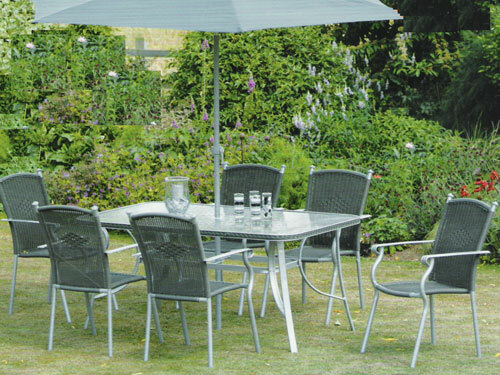 Iron is also used with wood and wicker to make stylish outdoor and indoor furniture items. Skilled craftsmen blend iron with wood to make stylish designs. You can also use iron in sculptures and decorative items used to decorate patio and garden areas. Iron furniture comes in various qualities. There are thick iron furniture items as well as leaner ones. Thicker iron is obviously more expensive, but it is more durable and long lasting in comparison. While purchasing this kind of furniture, you should try to purchase items with powder-finish as powder acts as a protective layer against rusting and tarnishing. Although iron furniture is one of the most long lasting types of furniture, it needs proper care and protection against certain calamities. A little bit of care can add into the durability of your furniture. In case you think that your iron furniture is rusted, you can rub it with a wire brush to eliminate the rust flakes. You should use wire brush, in case the furniture is completely covered in rust. If there are mild rust spots on the furniture, you should use a steel-wool pad to remove the rust stains. Again, you can dip the wool pad in kerosene oil and scrub the rust spots gently to get rid of them. You may disassemble the furniture to remove rust properly from the joints of the furniture. If your furniture is not rusted and have only dirt and grime on it, you can rinse it with Luke warm soapy water. You can add a bit of soap or detergent to warm water and dip a sponge in it. Then, you should rub the sponge on the surface of your iron furniture to remove dirt debris from it. Dry it properly with dry cloth, towel or tissues to remove excess water from the furniture. To keep the glow and the shine of the furniture for a longer time, you must apply neutral color auto wax twice a year on your furniture. In addition to wax, you can also use liquid furniture spray to keep your furniture sparkling. You can also use touch up paints at the rusted areas like joints and welded parts of the iron furniture. Keep your iron furniture from natural elements. You should bring furniture indoor during, winters or cover it with canvas sheet. Again, you must protect it from water and humidity as they promote the process of oxidation that leads to corrosion. Keep it protected from the harsh sunlight of the summers as furniture could be cracked by the sunlight.